Total Workshop search results: 25. 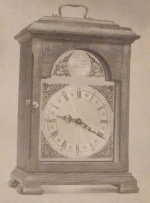 Displaying Page 1 of your woodworking search phrase MANTLE CLOCKS. 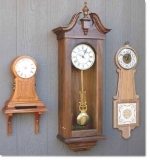 This 14 inch tall clock will add beauty to any space, including your mantle. 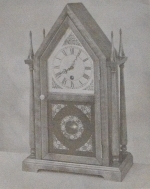 The designer used figure maple with wenge butterflies for this timepiece. If you have been saving a highly figured piece of wood for a small project , this is the one to use it for. Its a simple yet beautiful project that will be admired for years to come. This oak and walnut clock will instantly give away your favorite hobby. And it will grab everyones attention whether sitting on a desktop, mantel, or bookcase. 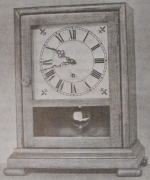 Included in the plan is a sliding table jig, and a buying guide for the mini quartz clock movement. 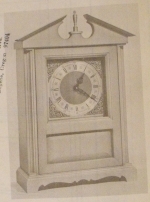 This desk or mantle clock is based on the historical End of Trail statue by sculptor James Earle Fraser. 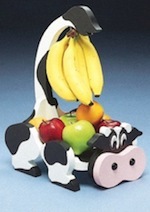 A wonderful addition to your home or office! 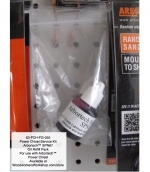 Fits a standard 2-1/4 inch diameter clock insert. This is an intermediate level scroll saw pattern. Make this Kokopelli clock to add a little southwestern flavor to your desk or mantle. It fits a standard 2-1/4 inch clock insert. This is an original, professionally drawn, scrollsaw pattern with complete instructions and full color photos suitable for an intermediate level scroll sawyer. Download this pattern and start to work on your scroll saw right away. This wild horses desk clock is highly detailed and a beauty to behold. Fits a standard 2-1/4 inch clock insert. This is an original, professionally drawn, scrollsaw pattern with complete instructions and full color photos suitable for an intermediate to advanced level scroll sawyer. 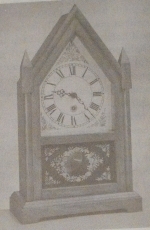 This intricate lighted Victorian fretwork clock is great for a bedroom where it can double as a night light or in a living room, where it is sure to get your guests attention. 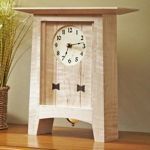 The step-by-step instructions are clear, thorough and offer several options, including options for making the entire clock without a router or table saw if you prefer. 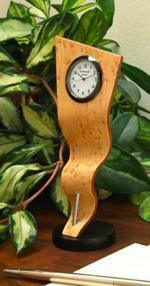 The clock fits a standard clock movement and uses a press-fit nightlight cord with a 4 watt bulb for lighting. This is an intermediate level scroll saw pattern.